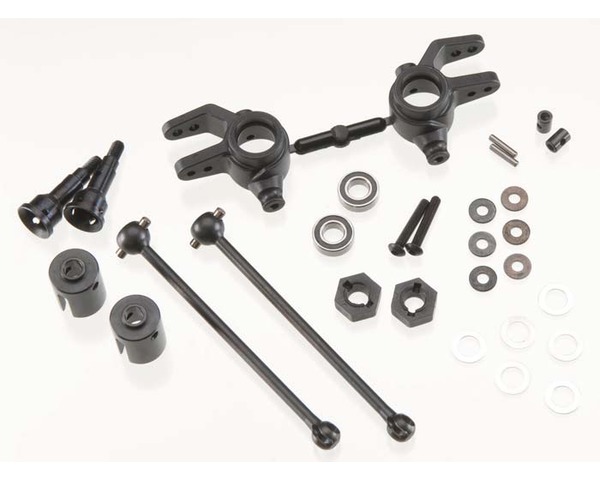 The Tekno RC M6 Driveshafts and Steering Blocks will give your Slash 44 the ultimate in performance and durability. If you are having issues with anything breaking this will most likely be caused by running the RPM A-Arms made from pure nylon. These arms are not compatible with our kit as they are too flexible. Because of this extreme flexibility, the metal parts of our kit are compromised during use. For this reason, we can only recommend using the stock Traxxas arms. Captured CV drive pin it cant fall out.